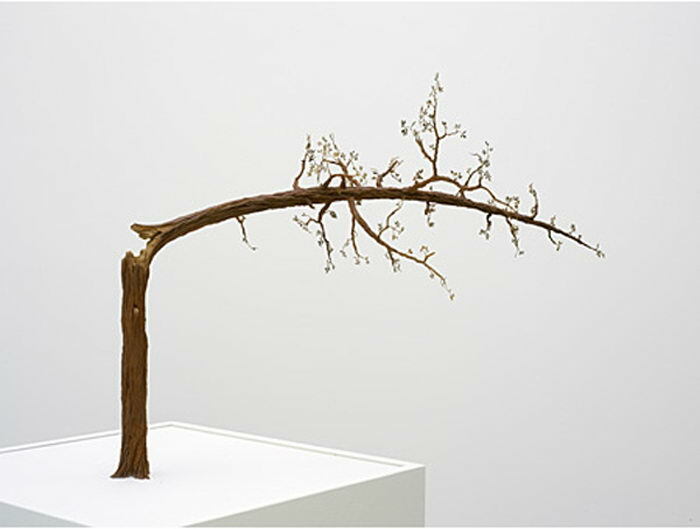 John Isaacs' work encompasses many different media, though much of it has origins in sculpture. The artist continually redefines his style, moving seamlessly through installation, sculpture, photography, film, painting and drawing. Whatever the media, Isaacs' pieces typically inspire contemplation. Whether it is a grotesquely real, severed arm with the word HATE tattooed across its knuckles, or a small, painterly ink drawing of a unicorn, the artist's work always contains a thread of mystical wonder and brutish reality. Through his often humorous mixing of appealing optimism with abject pessimism, Isaacs examines our historically and culturally determined conventions. In so doing, the artist makes no distinctions between high and low, finding instead that all things have their root in the same base instincts. In his work, there is a strong sense of the universal connection that underlies our apparent isolation from one another as well as the presence of dreams, successes and failures of the individual and society. John Isaacs was born in Lancaster, UK, in 1968. He lives and works in Berlin. John Isaacs’ work encompasses many different media, though much of it has origins in sculpture. The artist continually redefines his style, moving seamlessly through installation, sculpture, photography, film, painting and drawing. Whatever the media, Isaacs’ pieces typically inspire contemplation. Whether it is a grotesquely real, severed arm with the word HATE tattooed across its knuckles, or a small, painterly ink drawing of a unicorn, the artist’s work always contains a thread of mystical wonder and brutish reality. Through his often humorous mixing of appealing optimism with abject pessimism, Isaacs examines our historically and culturally determined conventions. In so doing, the artist makes no distinctions between high and low, finding instead that all things have their root in the same base instincts. In his work, there is a strong sense of the universal connection that underlies our apparent isolation from one another as well as the presence of dreams, successes and failures of the individual and society. John Isaacs was born in Lancaster, UK, in 1968. He lives and works in Berlin.